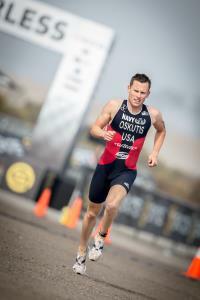 I offer highly individualized training programs for all levels of triathletes. Whether you are looking for an age group win or to complete your first triathlon, I am eager to work with you to achieve your goals and dreams. Derek has a wide variety of coaching experience of all types of athletes, from beginners to para-athletes to professionals, both locally in San Diego and nationwide. Working with every athlete’s needs, he develops highly individualized and manageable training plans across all distances and disciplines of triathlon, swimming, cycling and running. He currently holds both USAT Level II and USAC Level III Coaching licenses. Current 11-year professional triathlon career on top of 4 years of amateur racing. A positive and motivated athlete looking to increase their potential! Success. Coach Derek Oskutis has been notified of your message.